Two Years of Music Lessons Can Boost Your Brain Power! How Much Does a Wedding Violinist Cost? 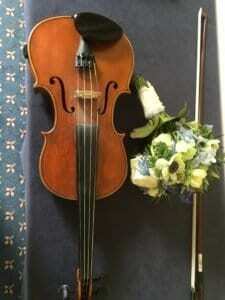 Divorces are always painful: but a Japanese woman left one violinist’s life in tatters. The woman has been arrested for wrecking her partner’s violin and bow collection, together worth more than £770,000 (105.9m yen, $950,700), according to Japan Today. Her 62-year-old husband is a violin maker and collector, and 54 of his violins and 70 of his bows were destroyed in the woman’s rampage at his apartment in Nagoya. She apparently broke in through a window while her then husband was on a business trip. The woman, aged 34, was arrested when she returned to Tokyo this week. The most valuable instrument is an Italian violin worth more than 50m yen, according to a local news agency.